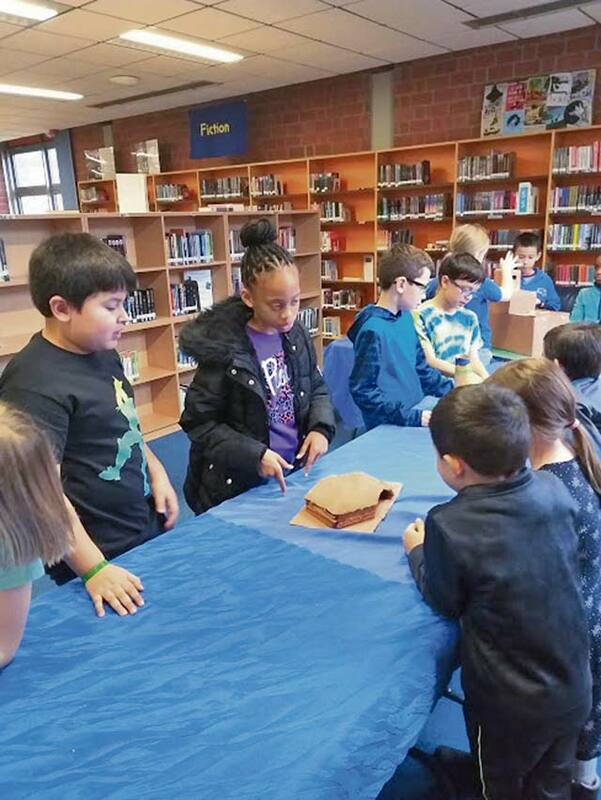 All 4th grade students at Landstuhl Elementary Middle School participated in a Project Based Learning activity in social studies. Jennifer McPhail-Hastings’ students began their project by learning about primary and secondary sources from the school’s Information Specialist, Tammy Chandler. 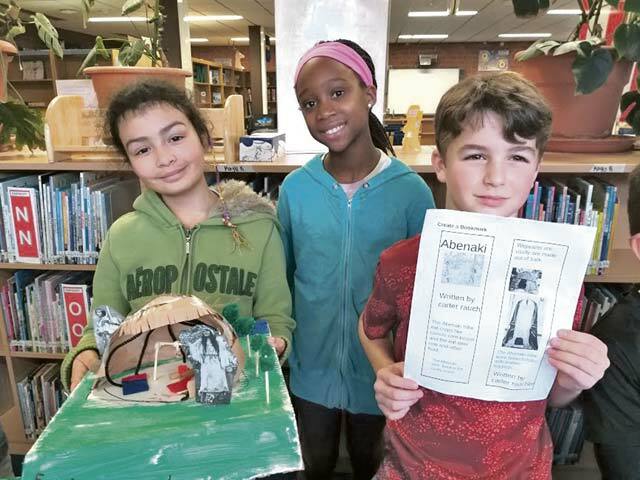 Students read and collaborated on learning and understanding how Native Americans lived historically, and what environmental features influenced their housing. Students created replicas, bookmarks, and gave presentations to other classes while in the library. Fourth graders Emma McDaniels, Victoria Afeka, and Carter Ranch (left to right) at Landstuhl Elementary Middle School in Jennifer McPhail-Hastings’ classroom proudly show their project and the bookmark they have created. Fourth graders Benjamin Dirks and Christopher Scheivert (left to right) at Landstuhl Elementary Middle School in Jennifer McPhail-Hastings’ classroom, present their project to Juan Salas and Laila Bogen (left to right) kindergartners at LEMS in Alexis Boyanowski’s classroom. In the back, 4th graders Bella DiCampli, Uriah Z., and Sebastian Ahrens (left to right) at Landstuhl Elementary Middle School in Jennifer McPhail-Hastings’ classroom, talk about their project to Yayra Bocovo and Ronan Cook (left to right), kindergartners at LEMS in Alexis Boyanowski’s classroom. Fourth graders Luciano Alonzo and Serenity Medley (left to right) at Landstuhl Elementary Middle School in Jennifer McPhail-Hastings’ classroom, present their project to Fisher Trevino, Amara Keebaugh, and Juan Salas (left to right) kindergartners at LEMS in Alexis Boyanowski’s classroom. 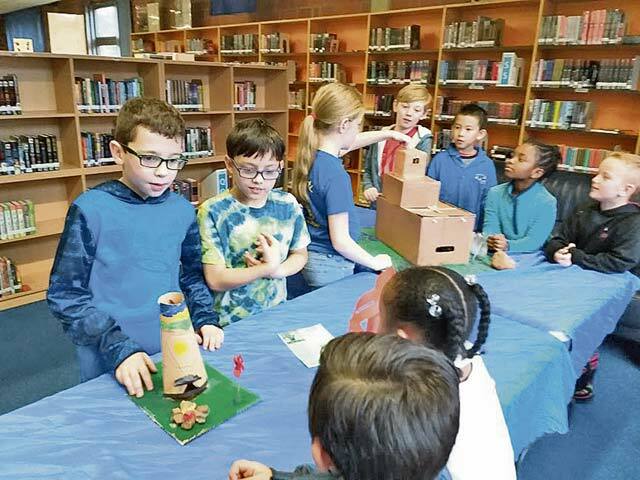 In the back, 4th graders Benjamin Dirks, Christopher Scheivert, Bella DiCampli, and Sebastian Ahrens (left to right) at LEMS in Jennifer McPhail-Hastings’ classroom, show their project as well. 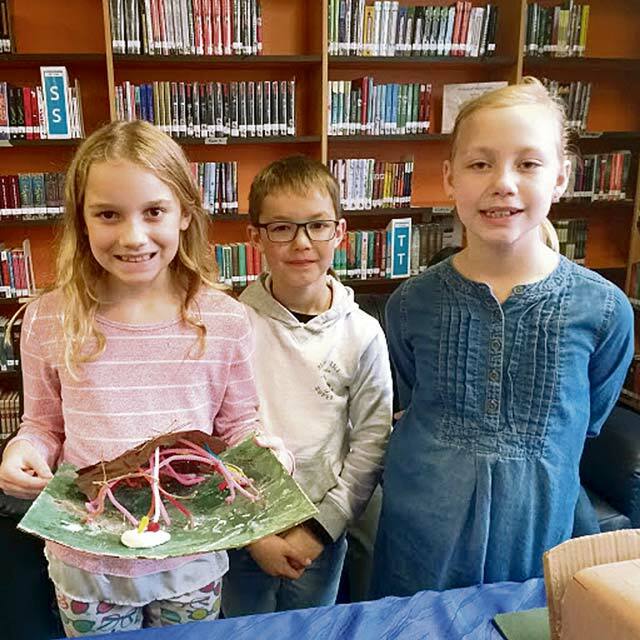 Fourth graders Sienna Lucas, Brody Geiger, and Kaitlyn Palen (left to right) at Landstuhl Elementary Middle School in Jennifer McPhail-Hastings’ classroom proudly show their project.